This entry was posted on March 16, 2011 by jamesbowes. It was filed under FleetStar . I just restored my mother’s 17th birthday present…. a 1960 17ft Hi-Liner Fleetstar that was in a garage in pretty rough shape in Webster Mass. I purchased the lake house that my great grandmother had built in 1927. The house is on Killdeer Island on Lake Chargogagogg. 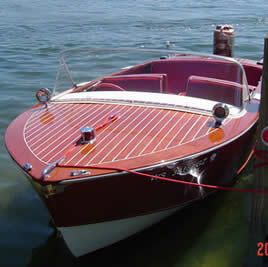 It was always my dream to restore the boat that I grew up driving as a child in the 70’s and have my kids drive around the same waters. After a 5 year restoration, it finally came true. It is once again docked on the shores of our house. 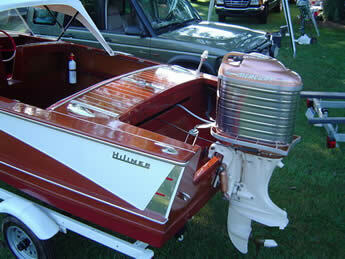 It is powered by an all original 1958 Evinrude 40 hp Lark II that was purchased new by my grandfather. 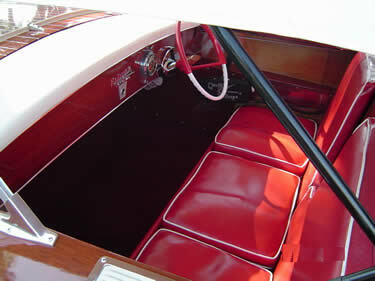 I have all the original brochures and sales recepts for motor and boat.. Would love to share pictures with anyone interested…. Im so proud because I did it all myself. Not bad for a 42 year old school teacher. Thanks for sharing. Please email me some pictures and I will post them on the site. 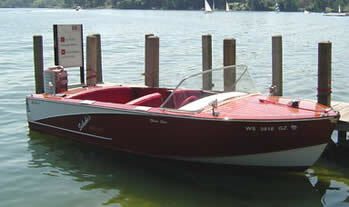 I have a 1964 Fleetstar in pretty good condition with original Evinrude engine.Does anyone know where to sell it in the UK.